...and it wasn't a comic book, either! 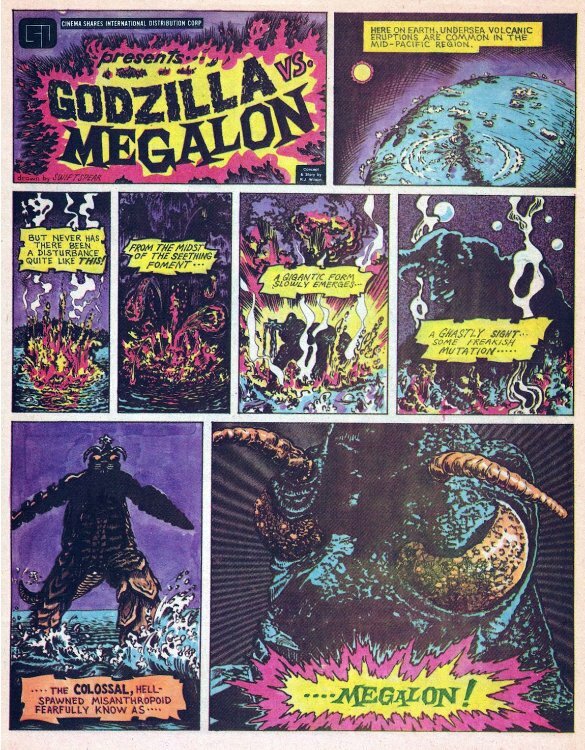 It was a four-page magazine-sized brochure printed on newsprint and distributed free to theaters in 1975 to promote the upcoming movie Godzilla vs Megalon! 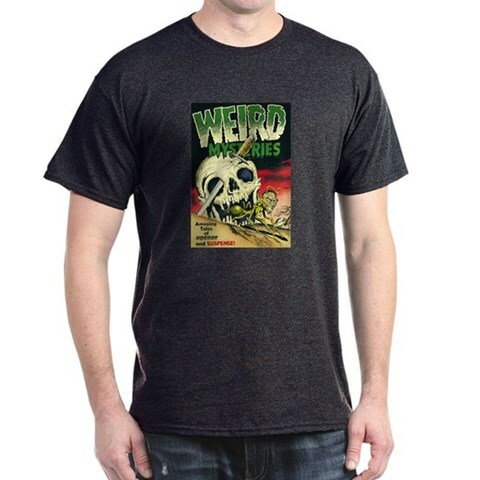 Oddly, a couple of creatures are misnamed. 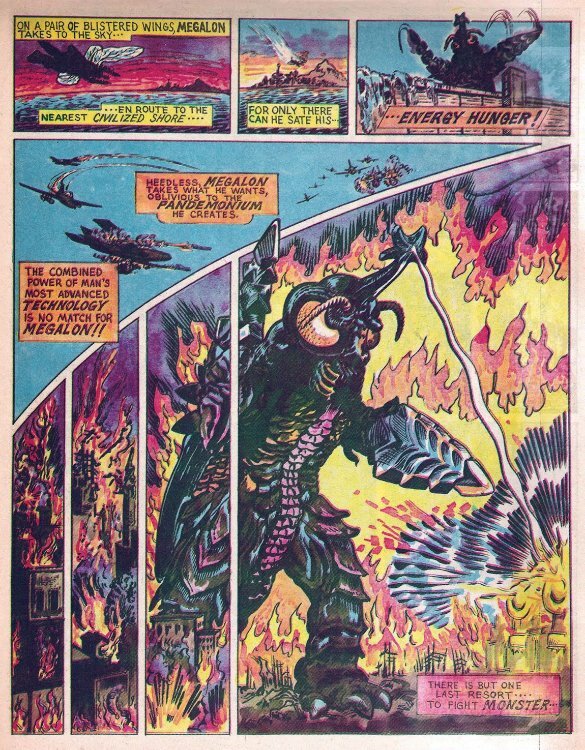 Heroic giant robot Jet Jaguar is called RobotMan. 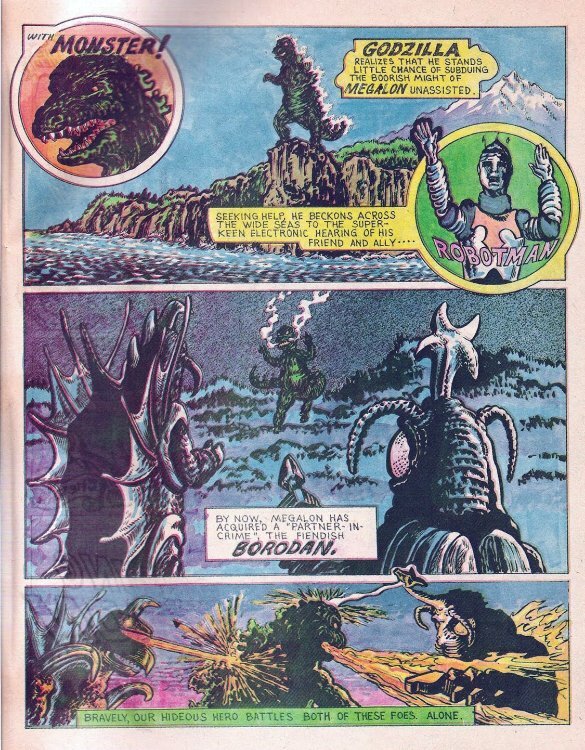 Alien monster Gigan (who had appeared in the earlier film Godzilla vs Gigan) is named Borodan. And, since the brochure is both an unusual size and extremely-fragile, few survive today. 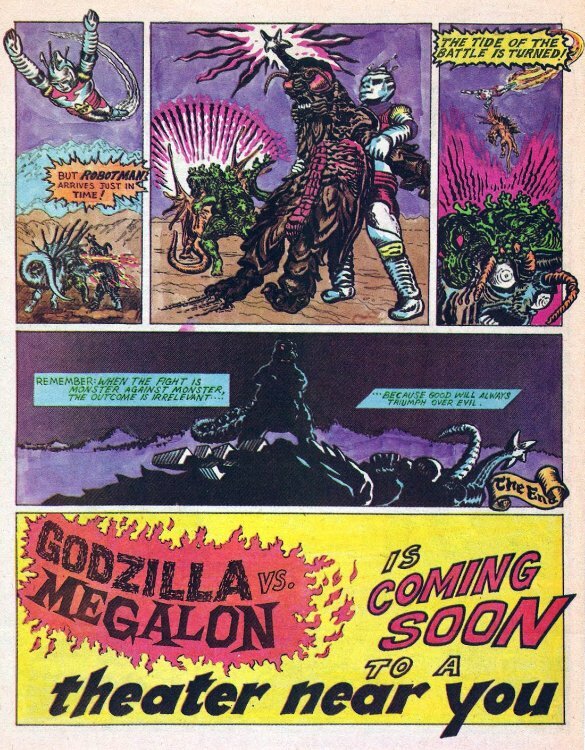 And, koolest of all, a condensed version of the now-forbidden MST3K episode spoofing the film! 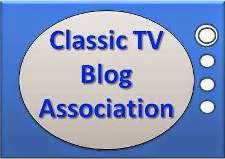 We hope you've enjoyed our contribution to the Countdown to Halloween 2012 Blogathon!